Each pre-serialized package has a unique identity which can be linked and aggregated with information about the product contents and events occurring on all desired stages of the supply cycle. With pre-serialized corrugated packaging it is possible to optimise the efficiency of the processes in the supply cycle, ensure authentic products and hinder grey market activities. It claims. The company has the capability to apply mass pre-serialized identities in the shape of various overt or covert marks, thanks to its ground breaking digital preprint presses for corrugated packaging. 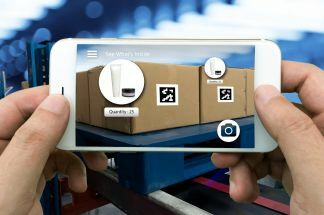 Together with a network of digital post print options across Europe, it say it has the capability to deliver connected packaging at scale. These connected packaging solutions can increase transparency, traceability and the efficiency of supply cycles. Packaging Connectivity is modular and there is flexibility in the options, according to the needs in different supply cycles.